In accordance with regulations of Air Traffic Law and Public Procurement Act, and after the completion of public procurement procedure for services of “Security screening of passengers, staff and cabin baggage”, Split Airport has chosen as the most convenient tenderer the firm GRADSKA SIGURNOST Simac i sin Ltd, from Split. After the fulfilment of all conditions stated in National Civil Aviation Security Program, and takeover performed with Airport Police Station Resnik, the firm GRADSKA SIGURNOST starts providing services of passengers and cabin baggage security screening at midnight (3rd/4th February 2015). 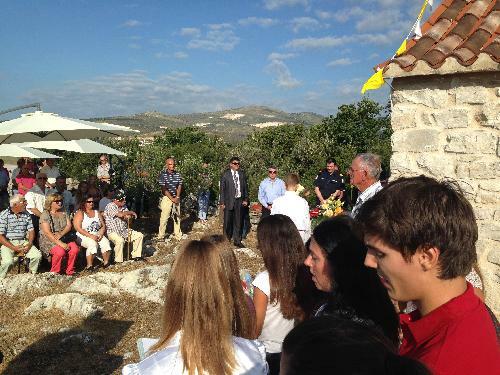 Every year, Split Airport employees celebrate the Airport Day on 24th August, its patron St. Bartholomew Day. Only on that Day, a small medieval St. Bartholomew church is open for public. 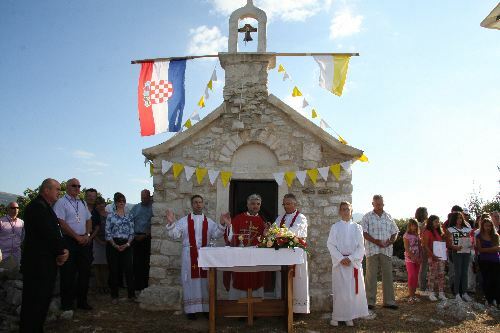 It is situated on the hill within airport area, which is a unique case not only in Croatia, but also in the world. 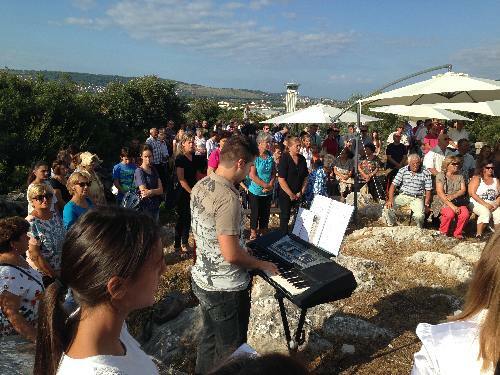 Yesterday, as tradition goes, the Holy Mass was celebrated, attended by split Airport employees and invited guests, as well as by grater number of believers from surrounding areas. Friendly gathering continued with light refreshments. Today, at Split Airport, on Croatia Airlines flight OU412 to Frankfurt, this year one millionth passenger, Mr. Branko Curavić, has been seen off. Compared to past year, this year millionth passenger is welcomed 6 days earlier. Namely, with regard to the same period last year, Split Airport recorded 10% increase in number of passengers in the first seven months. On a monthly basis, in July, the 16% increase in number of passengers was achieved. The first Saturday of August already registered daily record high number of passengers in the history of Split Airport, indicating good continuation of the season. On occasion of arrival of one millionth passenger, we organised small celebration at Split Airport, at which Mr. Pero Bilas, Assistant General Manager, congratulated the lucky passenger, and awarded him/her with special gifts: on behalf of Split Airport the voucher at 300,00 EUR - to be used at Split Airport Duty Free Shop, and on behalf of Croatia Airlines two return tickets for one of their destinations - at choice of the passenger. Croatian national carrier Croatia Airlines registered millionth passenger this year, on Monday, 28th July 2014. Jubilee passenger, Ms Jelena Nincevic, arrived to Split from Paris, on flight OU 475. Jelena, Croatian with permanent address in Paris, where she lives and works, could not wish better beginning of her holiday. At a ceremony held at Split Airport, Mr. Ivan Druzeta, Croatia Airlines Sales and Marketing Manager, awarded the millionth passenger with two return tickets to international destination at her choice. On behalf of Split Airport, Mr. Ante Teklic, Assistant General Manager, presented the lucky passenger with voucher in value of 200 €, usable in Split Airport Duty Free Shop.